Community and business leaders in the Truro-Colchester region were seeking a way to best leverage the area's assets to reverse the affects of an aging population and boost economic growth. Plum collaborated with the Truro-Colchester Events Committee to develop a dynamic major event strategy, customized to the region's unique strengths, that will educate the public, engage youth and create significant economic impact. The strategy has united the Committee and created a strong foundation for economic growth in the region. 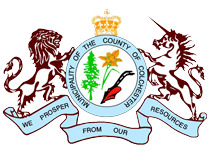 It has now been approved by the Joint Councils of the Town of Truro and the County of Colchester.